I have held out on purchasing any kind of down or insulated jacket. To be honest, I can be pretty rough on my clothing (ask my wife) and an expensive down jacket with hair-thin walls doesn’t exactly bring durability or longevity to mind. Also, South Carolina weather doesn’t really scream puffy-down-jacket either. However, in anticipation of some upcoming winter backpacking trips, I did my research and landed on what I think was the perfect choice considering all of my misgivings. 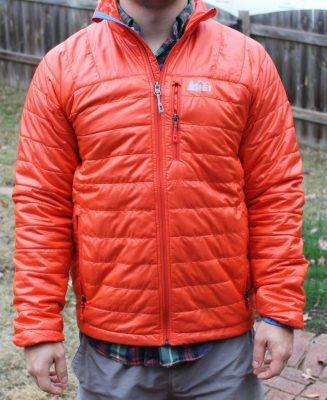 Click here to read my owner review of the REI Revelcloud Jacket.